Romelu Lukaku ended an 11-game Premier League drought in style with an 11-minute hat-trick as he fired Everton to a 3-0 victory at Sunderland. The Belgium international struck with 60th and 68th-minute headers and then completed his treble with 19 minutes remaining at the Stadium of Light to condemn former Toffees boss David Moyes, who lost his job as Manchester United manager after a defeat by the same opposition in April 2014, to a third defeat in four league outings so far this season. Sunderland gave as good as they got before the break despite having to defend resiliently, but they were torn apart after it as Lukaku ran riot in front of a largely horrified crowd of 42,406. With Gareth Barry and Ross Barkley providing the ammunition for B#30million summer signing Yannick Bolasie to feed Lukaku, Everton were a threat early on, but with Sunderland keeper Jordan Pickford in fine form and defenders Papy Djilobodji and Patrick van Aanholt in determined mood, the Black Cats held firm in the face of a determined onslaught. Pickford had to dive bravely at Lukaku's feet within seconds of the start after Bolasie had fired in a low cross, but Sunderland might have taken a 10th-minute lead when Adnan Januzaj's shot was blocked and looped perfectly into the path of Jermain Defoe, who for once sent his first-time volley over the bar. However, Pickford had to pull off a breathtaking one-handed save to keep out Lukaku's bullet header from a 13th-minute Bolasie cross, and the striker stumbled as he turned Djilobodji from Barkley's pass six minutes later and could only prod the ball straight at the keeper. Lynden Gooch almost caught Everton keeper Maarten Stekelenburg napping with a curling effort which might have crept under his crossbar had he not got his fingertips to it five minutes before the break, but Bolasie smashed a rising drive just over on the stroke of half-time. Everton boss Ronald Koeman replaced Barkley with Gerard Deulofeu at the break and the newcomer made an instant impact with a surging run which eventually led to Leighton Baines picking out Bolasie, who cut inside from the left to force a diving save from Pickford. 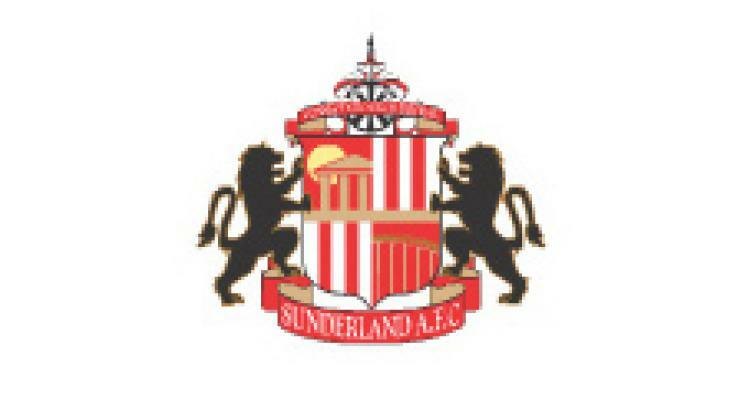 But Sunderland responded and after Ashley Williams had blocked Defoe's 51st-minute shot behind, Lamine Kone headed powerfully at Stekelenburg from the resulting corner with the keeper needing two attempts to claim the ball. Lukaku stabbed inches wide from Seamus Coleman's driven 54th-minute cross, but he found the target five minutes later when, after Deulofeu had broken at pace from a Sunderland corner, Idrissa Gueye crossed from the right and he rose unopposed to head past the helpless Pickford. The Belgian rattled the crossbar after turning smartly four minutes later, but made sure of victory with 23 minutes remaining when Bolasie picked him out unmarked at the far post once again. The home side's misery was complete within three minutes when the powerhouse striker helped himself to a third after Kevin Mirallas had played him through on Pickford.